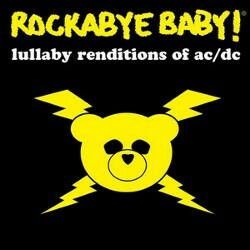 Even if Hell's Bells are ringing, Baby Rock Records' Lullaby Renditions of AC/DC are sure to put your little rocker to sleep! Through the use of a vibraphone, mellotron and other soothing instruments, the rock stylings of AC/DC will soothe your little one and get you on the Night time Highway to Hell's off ramp! For those about to sleep, we salute you!